Tax Free Municipal Bonds Investing Guide - Come Learn For Free! If you have a question about municipal bond investing along the way, feel free to leave a comment at the bottom of the lesson itself, or in our ask a question forum which you can find here. Lesson 1: Why Buying Bonds is Not Like Buying Stocks. – Often times those that are familiar with stock investing, will be less careful than they should be about bond trade execution. Where the stock market is a centralized market where brokers are required to give everyone the same level of execution, that is not the case with the bond market. Here’s what you need to know in order to avoid getting ripped off. Lesson 2: How Municipal Bonds are Taxed – Most investors are attracted to municipal bonds because they can offer certain tax advantages over other types of investments. Its important to understand however that not all municipal bonds are created equal. Here’s what you need to know. Lesson 3: How to Tell if Tax Free Municipal Bonds are Right For You – For many wealthy individuals the yield on a municipal bond is going to be much greater than the yield on a corporate bond of similar safety once taxes are taken into consideration. There is a simple formula for calculating your taxable equivalent yield, which we cover in this lesson. Lesson 4: General Obligation Municipal Bonds – Most tax free municipal bonds fall into one of two categories. The first is of the General Obligation variety, which is the category covered in this lesson. Lesson 5: Revenue Municipal Bonds – In this lesson we cover the the second major category of tax free municipal bonds and how revenue bonds compare to general obligation bonds. Lesson 6: Municipal Bond Safety, Defaults, and Credit Ratings – Ever since 60 Minutes interviewed analyst Meredith Whitney in 2010, the safety of municipal bonds has been an area of concern for many individual investors. Here’s what you need to know in order to separate the facts from the speculation. Lesson 7: Municipal Bond Insurance – What Value Does it Provide? – Before the financial crisis many municipal bonds were covered by insurance against default. Although less common now some bonds are still covered. Lesson 8: Callable Bonds – What They are and how They Work – Many bonds give the issuer the right to pay off their bonds before they mature. This can significantly affect the value of a bond so here’s what to look out for. Lesson 9: How to Buy Municipal Bonds Through Retail Order Periods – Because individual investors are such a large part of the tax free municipal bond market, they are given special priority when bonds are initially issued. This is a great opportunity to saving a lot of money on your bonds. Here’s how to participate. 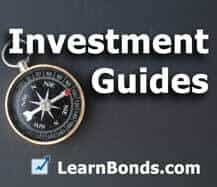 Lesson 10: Where to Find Municipal Bond Prices – There are several places where you can find free delayed bond prices which we list here. Lesson 11: How to Choose a Municipal Bond for Income – If you are buying a municipal bond for income, then you can simplify the process down to the only 4 things that really matter. Here’s how. Lesson 12: Where to buy municipal bonds – There are many options available to municipal bond investors, from full service to online brokers. Here are the pro’s and cons of each. Want to know something that we do not cover this guide? Let us know in the comments section below. they`re getting ready to do another 10 for 1 ! I hope not ! 10 for 1 ! hope not !